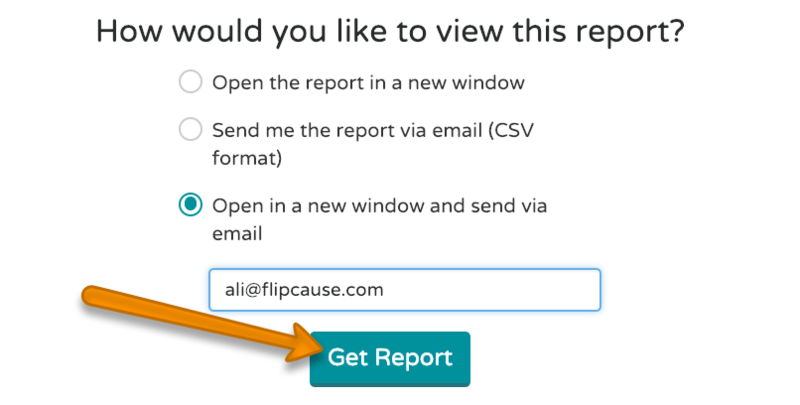 To view responses to a custom field on a campaign, you'll need to generate a custom report. 2. Add custom fields only to individual items (within Tool Settings > Advanced Settings). When you apply custom fields to an entire order, everyone who completes a transaction within the campaign will have to answer that question—regardless of how they interact with your campaign! Of course, there are scenarios where this wouldn't make sense. For instance, you might create a multi-tool campaign that includes the option to make a donation or register for your event. For event attendees, you'll want to know about any dietary restrictions, so you'll include a custom field to gather that information only for those who add registration to their cart. This way, you don't end up asking folks who only want to make a donation about their meal preferences. Note: With the release of Universal Checkout, you'll now find Custom Fields for your existing campaigns within Tool Settings > Advanced Settings for the particular engagement tool they are associated with. Once you know how your custom fields are being applied, you're ready to create and customize your report. Below are step-by-step instructions for reporting on custom fields at the order level, followed by instructions for reporting on custom fields applied to individual items. Remember, these are the questions that everyone who interacts with your campaign will fill out, and they're not associated with any particular tool type. From your Dashboard, navigate to the Reports > Transaction & Activity Reporting. Leave Choose Report Type set to "All Transaction Records." Next, select a date range that contains the transactions you want to include in your report. From here, click View Full Report. This will open a window where you can choose to view the report in your browser, have it sent to your email address as a .csv file, or both. Once you've made your selection, click Get Report. Note: All custom fields in your account will appear in this section, however, ONLY custom fields added to this specific campaign will have data available in this report. These are custom fields linked to a specific tool type, and only supporters who add that specific engagement will be asked to answer these questions. This second setup includes custom questions created on campaigns before January 15, 2019. From here, scroll down and click View Full Report.